Holding the key to someone’s heart is a very special thing. So, at a wedding, a key symbolises this phrase succinctly and is a very appropriate accessory and embellishment for all wedding decorations. Include as part of your wedding invitation design, tie into the bridal bouquet with pretty ribbon, string from ribbon or beading as wishing tree embellishments or add to hanging decorations outside. 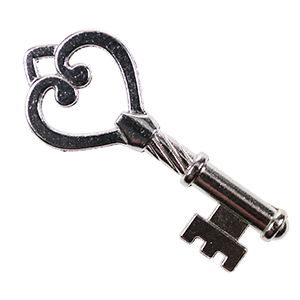 A key is a simple but delightful decoration with heartfelt meaning. 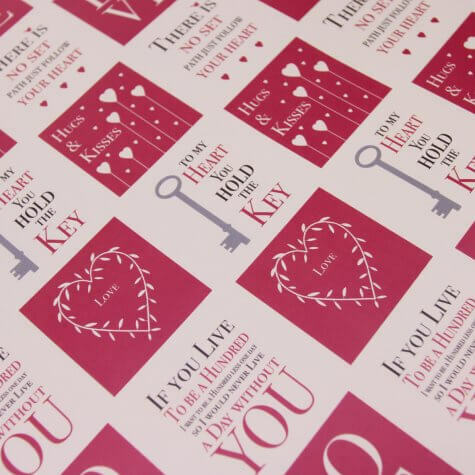 Our collection includes single keys, boxed key gifts to be given as tokens of love, ‘key’ themed styling items for table plan inspiration and gifts for the happy couple. You're spoilt for choice with this lovely collection of decorative key embellishments. 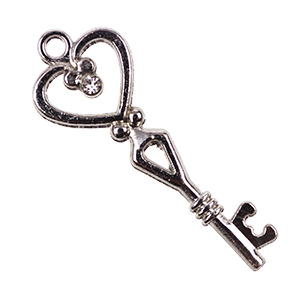 Apart from the associations with love, holding 'the key to comeone's heart' or love being the 'key' to a happy marriage for example they are just really cute embellishments! The dinky little ones look so sweet threadded through ribbon then tied round napkins, scroll invitations or favour gifts and the larger ones, (tied in the same way) around pocketfolds, wallets or Orders of Service. When guest books have a ribbon bookmark tie a key onto the end or tie tags (each written with a guest's name) onto the keys to make delightful place settings.